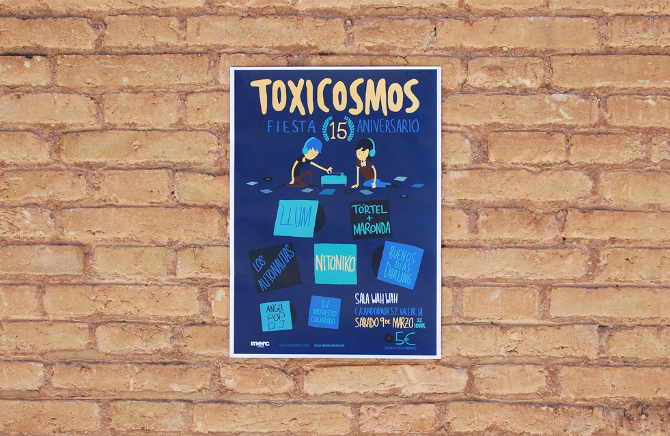 Toxicosmos es un programa de radio y DJ cuyo programa lleva 15 años en antena, desde entonces ha estado presente en festivales como SOS 4.8 y el FIB. Cree una imagen acorde con el tipo de música que suena en el programa, principalmente pop independiente, con una gama de colores vibrantes que parten del azul característico del programa. 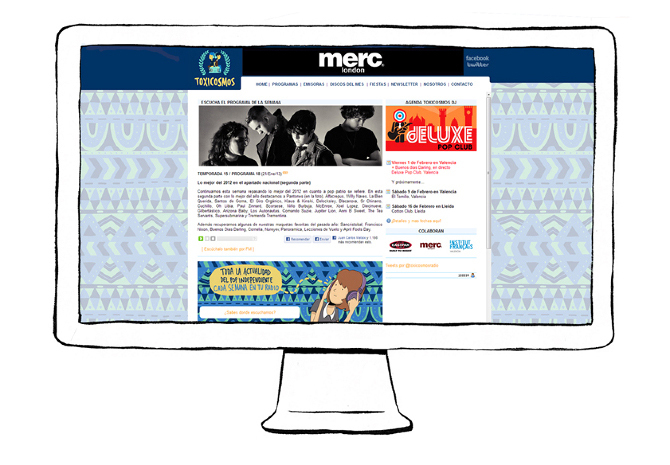 Las ilustraciones se aplicaron a su página web, merchandising y al cartel promocional del concierto que celebraba su 15 aniversario. Toxicosmos is a radio show airing for 15 years and a DJ act that has become a regular on festivals such as SOS 4.8 and FIB. I made the image acording to the kind of music played on the show, which is usually indie pop, using vibrant colours and keeping the blue which has been a trade mark of the show since it began airing. 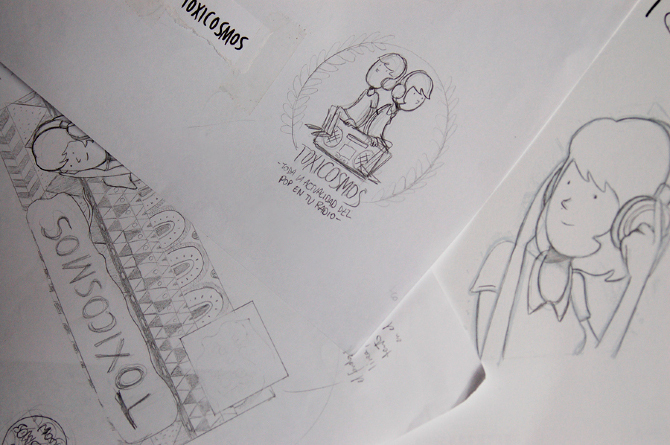 The illustrations were used to promote the show, the website and were applied on merchandising. 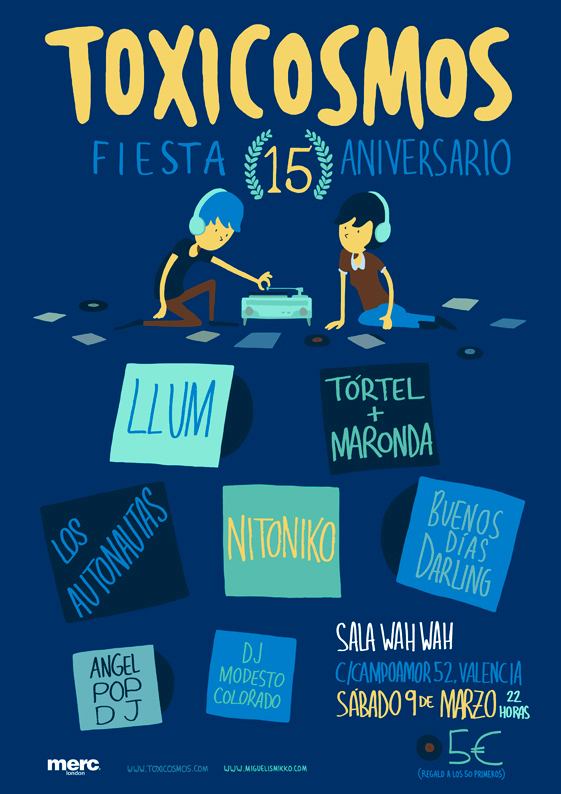 I also did the poster for the 15th anniversary conmemorative gig on which some well-known bands of the country played.